As your retail chain grows and expands, it can get harder and harder to know how each store is performing. 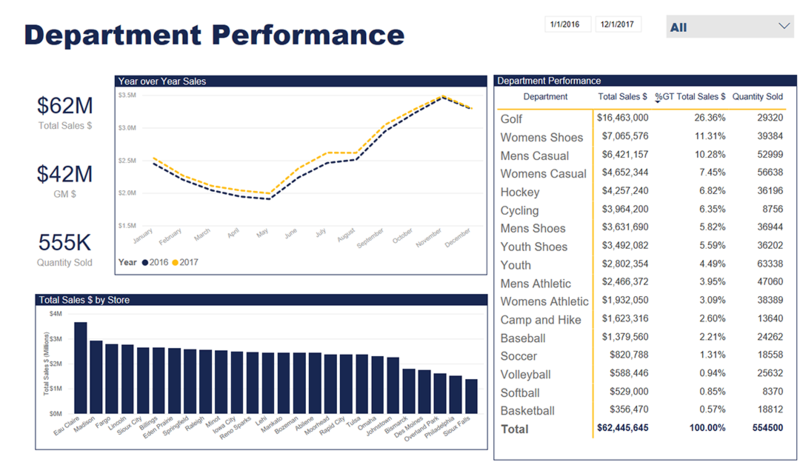 Take a look at reports that break down store and department performance to an item. 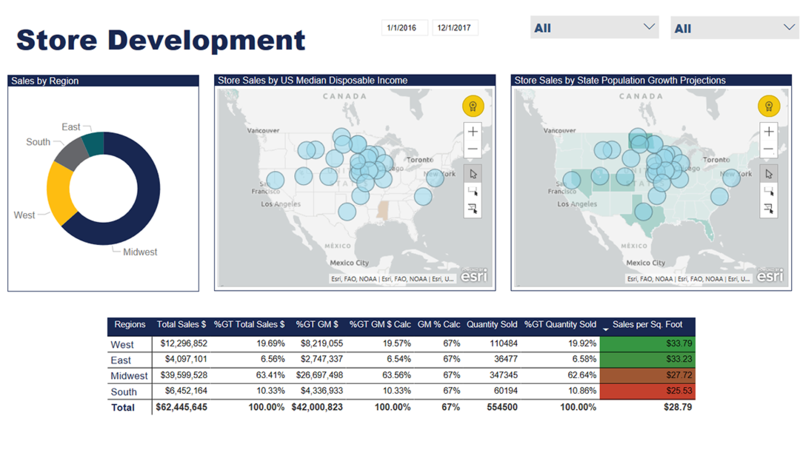 Explore where to expand your store footprint and compare store regions by using our business development report, and get to the bottom line of each store location with our profit and loss report. Quickly understand store sales performance giving you the power to make changes in purchasing, marketing or staffing. There are a variety of users that will benefit by using these reports from retail chain executives, regional or store managers to the finance team. 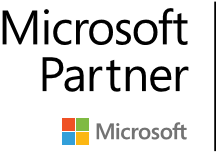 This report provides a high-level view into sales across all stores. Headline metrics showcase pulse numbers to monitor month to month and week to week. A clustered column chart in the upper right compares the average sales per square foot in a store and identifies the retail chain's goal of $17 per sq. foot. Find which stores are best leveraging their square footage and those who are in need of improvement. The dynamic views showcase that although a store may be a top performer in sales, they may not be adequately leveraging the sq. footage of their store and indicates a flag to dig deeper to improve performance. Add a new perspective to your data and include Esri maps pulling in US census data mapped with store sales. Display the performance of each region as well as dig in to individual stores that comprise a particular region for comparison. Leverage your current data and identify external contributing factors such as population growth, US median income, etc. that make up the ideal cross section for growth. 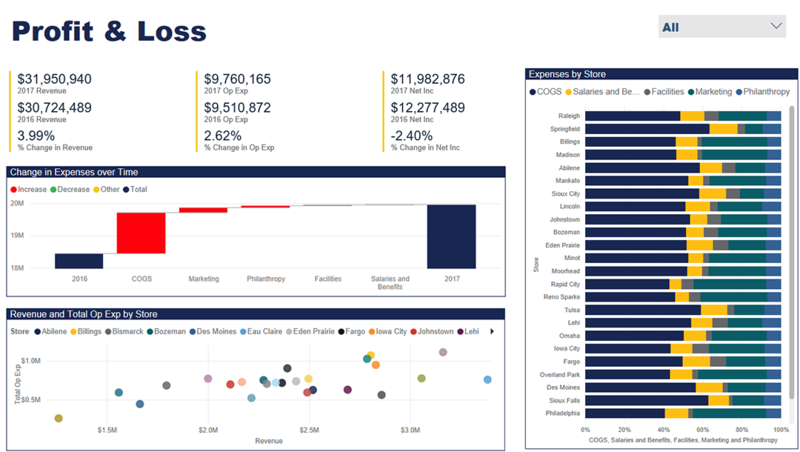 Identify what financial highlights you want adopted within your organization, for instance display the year over year change in revenue and feature it at the top. 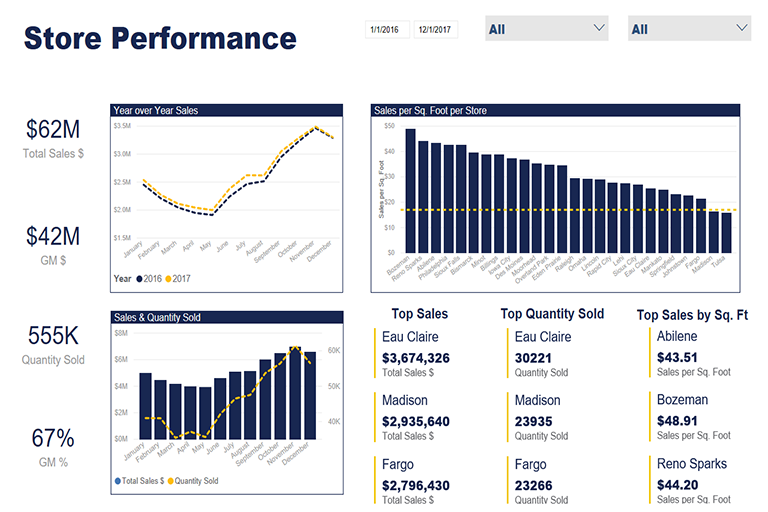 Find compelling visuals that highlight changes in metrics like expenses from multiple years. The scatter chart on the bottom plots store based on their revenue across the x-axis and expenses on the y-axis. The further right and down the store is, the store with highest revenue and lowest expenses - Eau Claire is the front runner. Embrace your ability to make better decisions faster.